GARGI is leading manufacturer of foundry Resins, Coatings, Catalyst, Sleeves/Cones and other foundry chemicals. 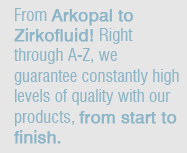 We offer wide range of specialty products and technical support designed to meet the needs of our customers. Our global network of production facilities enables us to serve customers worldwide. At GARGI, we leverage our global resources for every solution to ensure our customers' products are the best they can be.